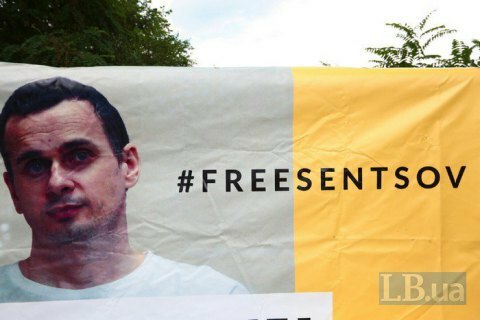 On the evening of 30 September, Open Russia published a letter written by Ukrainian filmmaker Oleh Sentsov whom Russia sentenced to 20 years on terrorism charges which are widely believed to be fake. According to the letter, he was being convoyed to Russia's most northern top-security penal colony in the Yamal village of Kharp close to Vorkuta. "They plucked me from Yakutia and are convoying to the Yamal-Nenets Autonomous Region. There is only one penitentiary facility there, the legendary Kharpy… There is nothing good to expect from this travel. Especially after I've been to the Irkutsk and Omsk central prisons and now have a certain impression of how bad it can be, and not only from conversations," he wrote back on 17 September when he was still in Tyumen. Sentsov hopes he will "survive this travel and stay in the final destination using what is left of his health". "I hope you will not get hysterical either because I'm not alone here, there are many of us, and my conditions are not the worst," he said. In 2015, Russia charged him with terrorists. Its prosecutors insisted that he had formed a group in Crimea which had carried out two assaults and had been planning two more. Another defendant in the case, Oleksandr Kolchenko, was sentenced to 10 years in penal colony. Sentsov was first sent to service his term in Yakutsk. In early September, he was convoyed to Irkutsk. According to some reports, he was then taken to Chelyabinsk.